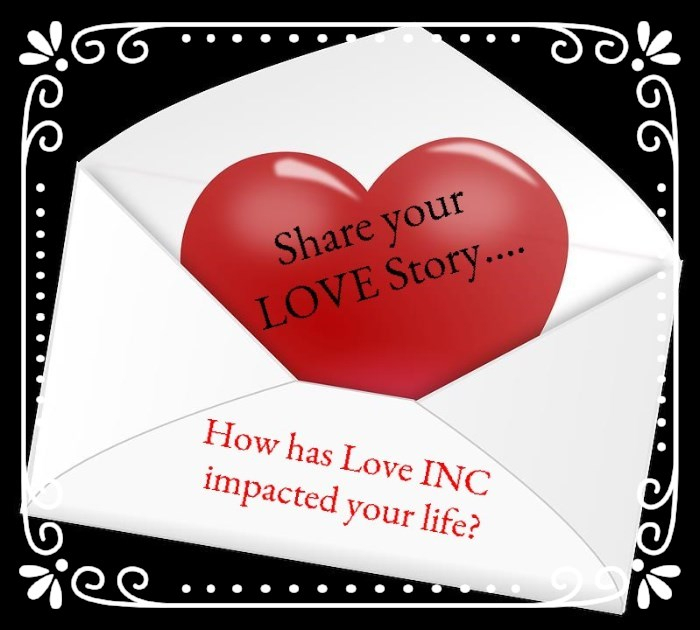 Share your “love story”: How has Love INC impacted your life? Take a few minutes to share how Love INC has impacted your life. Please, include your first name or initial, what church you attend or agency you are with and briefly share your story. Throughout all of February we will be collecting your stories of God’s love and transformation through Love In the Name of Christ. We will share your stories here or on Facebook etc. Previous Previous post: Shopping holiday SALES?